Gamma Verde uses Walker mowers for a very specific job: bringing the 50 sports fields they install or renovate throughout Italy each year to maturity. And in the final steps of the renovation, the Walker mower is used to clean the field and give a final cut on the lawn before it is ultimately presented to the owners of the property. Luigi Missano of Correggio, Italy, loves his job. Sure, he works in a cemetery. But it is what he does in the cemetery that brings a smile to his face. 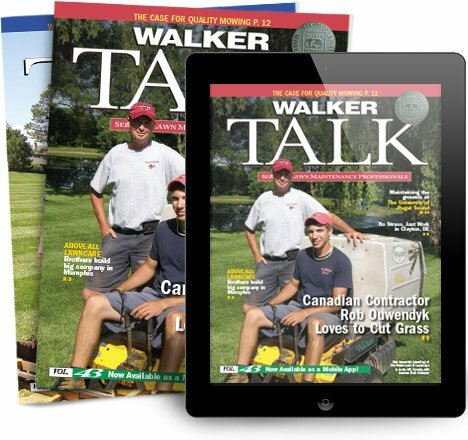 "I love running the Walker," says Missano. "It makes my job very easy, and I really like to operate the mower."